Welcome to the Jun lab at University of California San Francisco. We are located at HD350 Helen Diller Comprehensive Cancer Center Building at Mission Bay campus. Using advanced nanoprobing systems providing new optical, electronic, and magnetic capabilities, we are aiming to visualize and to manipulate dynamic motions of key biomolecules regulating important cellular processes such as development and tumorigenesis, and hence understand how the spatiotemporal dynamics of biomolecules across a cell population influence/determine the individual cells' fate and thus orchestrate ensemble behaviors of cells. 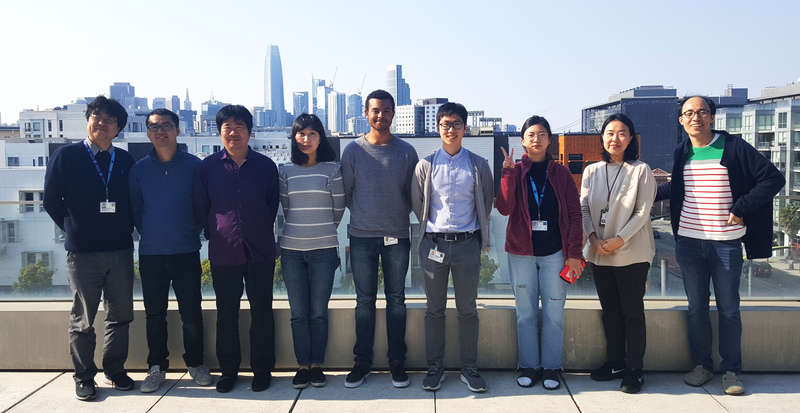 Our group is affiliated with the Department of Otolaryngology, Department of Pharmaceutical Chemistry, the UCSF Chemistry and Chemical Biology (CCB) Graduate Program, and the UCB-UCSF Bioengineering Graduate program.